With 3GB of RAM, 32GB of internal storage, 4K video recording and Full HD displays then the nova and nova plus certainly have the hallmarks of couple of upper mid-range devices. That is even more so for the nova plus with its built-in OIS and larger display. The main weaknesses are the the processor package, and the camera setup. Missing benchmarks notwithstanding, Huawei has presented us with a very likeable handset in the Nova. It's attractive, seems zippy and responsive, has a bright, vibrant screen and solid battery life. An all-rounder with particularly impressive battery life. If only it was slightly cheaper.... The Huawei Nova is a fantastic mid-range smartphone... but it's up against a rather special rival.... If Huawei decides to drop the Nova's price, it's definitely worth a second look. Despite the niggles, there's plenty to like about Huawei's latest Nova handset. With its vibrant, curved-edge screen, smooth performance and battery life that will last you a full working day, it should serve you well, but the problem is it's up against some pretty fierce competition in this price bracket. Huawei's mid-rangers look like premium phones and, for the most part, perform like flagships... They're beautiful-looking, extremely well built, perform well and don't break the bank. But I'd be lying if I said there were no cheaper options out there. The Nova Plus is yet another 5.5-inch mighty mobile, which is elevated by some seriously impressive battery life. Media fans will love the spacious Full HD screen, but the likes of the OnePlus 3 and Samsung's Galaxy A7 2016 boast the same strengths as the Nova Plus, at a lower asking price. 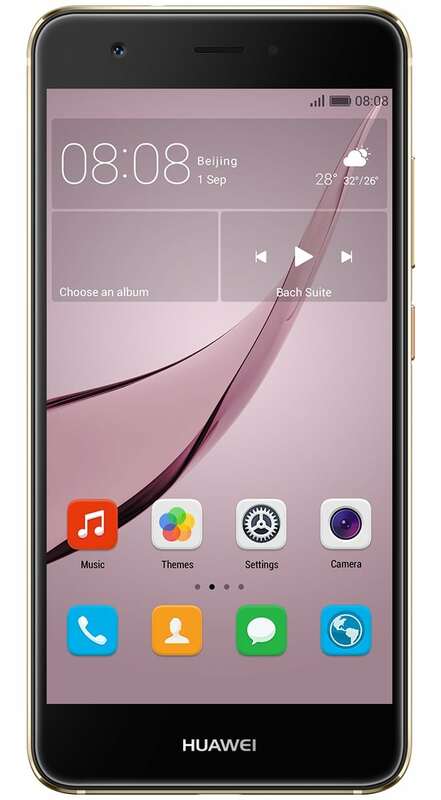 Every day, we search through thousands of tariffs and offers from UK online retailers to find the best Huawei Nova deals and contracts across a selection of price points and needs. Select 'Pay Monthly' if you're looking to get the Huawei Nova as part of a monthly contract with minutes, data and texts. Alternatively, choose 'No Contract' if you prefer to buy the Huawei Nova SIM Free or on Pay as You Go. Finding the perfect deal is easy. Just use the sliders to filter tariffs for minutes, data, monthly cost and upfront cost. You can also filter by network and retailer to find the best Huawei Nova deal for you! The cheapest contract price in this category is cheaper than buying the Huawei Nova SIM Free and a comparable SIM Only tariff by . You could save on the cheapest contract price in this category by buying the Huawei Nova SIM Free and a comparable SIM Only tariff separately.